Stand-up comedy for kids! As seen on CBBC! 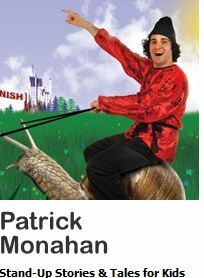 Irish Iranian stand up Patrick Monahan has earned a great reputation as a performer who will give audiences a great time, whatever their age or background, and with this special show for children he will combine silliness, stories and interaction to keep the kids laughing in the aisles.